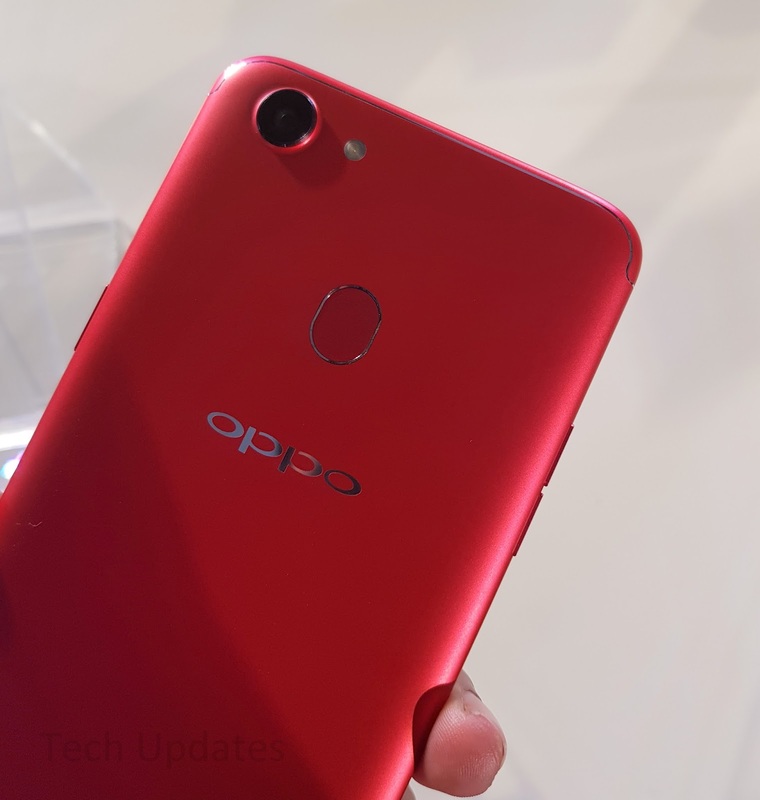 Oppo has launched Oppo F5 Smartphone in India priced at Rs 19,990 for 4GB RAM and Rs 24,990 for 6GB RAM model which comes with 18:9 Display and 20MP front camera. Should you buy Oppo F5? 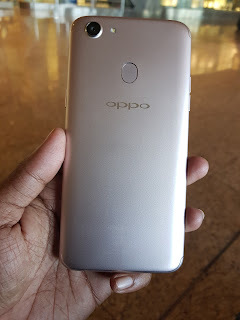 Here are Reasons To Buy And Not To Buy OPPO F5. Oppo F5 is the first phone from Oppo to feature full-Screen Display, The phone measures 156x76x7.5mm and Weight Around 152g. Oppo F5 has curved edges on both front and Rear which gives good grip in the hand. 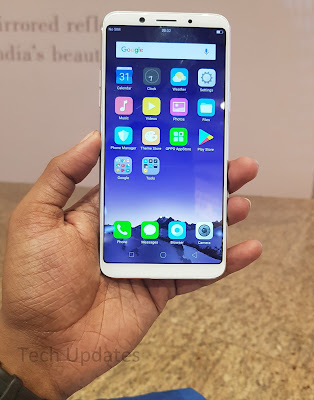 Oppo F5 features a 6.0 inches LTPS FHD+ Display (2160 by 1080 pixels) which has an 18:9 aspect ratio and 84.2% of screen-to-body ratio. Oppo F5's Display is also protected by Corning Gorilla Glass 5. Watching Movies or Playing games on this Full-Screen Display is FunIt produces Good colors, Viewing angles, Auto brightness also works fine, Even in bright sunlight Display is quite visible. 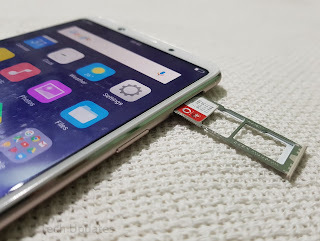 OPPO F5 comes with Dual Nano SIM + dedicated MicroSD card support up to 256GB.Most of the Phone in this price range comes with Hybrid SIM support. OPPO F5 has a 20MP front camera with F2.0 aperture and 1/2.8” sensor and a 16MP rear camera Sony IMX398 sensor with the F1.8 aperture, LED Flash. The camera App comes with modes like Timelapse, Video, Photo, Beauty, panorama.the front camera comes with Depth mode which produces Bokeh effect.Both Cameras can record videos up to 1080P videos. 1080p Video recording quality from the front and rear cameras are pretty good in Daylight condition lowlight is average. Rear camera produces good images in Daylight. less noise in Lowlight conditions. HDR Helps to capture some Great images. Micro, closer images produce good detail and saturated colors also Bokeh effect. Oppo F5 front camera produces great selfies in Daylight, Indoor, and lowlight. Depth mode needs improvement overall camera performance is good. Oppo F5 comes with Face Recognition technology also there is fingerprint scan and password protection. 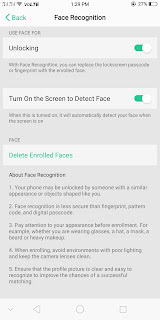 to setup Fingerprint scanner and Facial unlock go to setting - fingerprint, face & Passcode enable Face Recognition- enroll face- users need to keep Face in the circle once that is done you have enabled face lock, similar way add fingerprint lets you add fingerprint scanner. 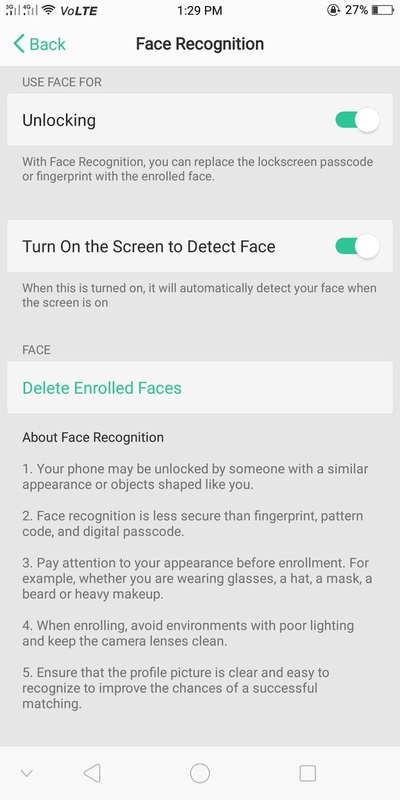 Face Recognition is fast you just need to press the power button it unlocks your phone or just swipes up it unlocks. It also works in outdoor and low light conditions. Fingerprint Scanner on Oppo F5 is fast and responsive users can add up to 5 fingerprints which can also be used to unlock Apps or some Files. Oppo F5 is Powered by 2.5GHz Octa-Core MediaTek MT6763T Helio P23 processor with 800MHz ARM Mali G71 MP2 GPU. It comes with 4GB RAM and 32GB of internal storage out of which around 22GB available for the user. There is also 6GB RAM and 64GB model available in Red color. Expandable up to 256GB with MicroSD card. On AnTuTu Phones scores 62991 points. while playing normal games or using Apps there was no issue while playing high-end games there was lag. Overall performance is good, not bad as we have seen in other oppo phones. at this price, Oppo should have included Snapdragon 625 processor. 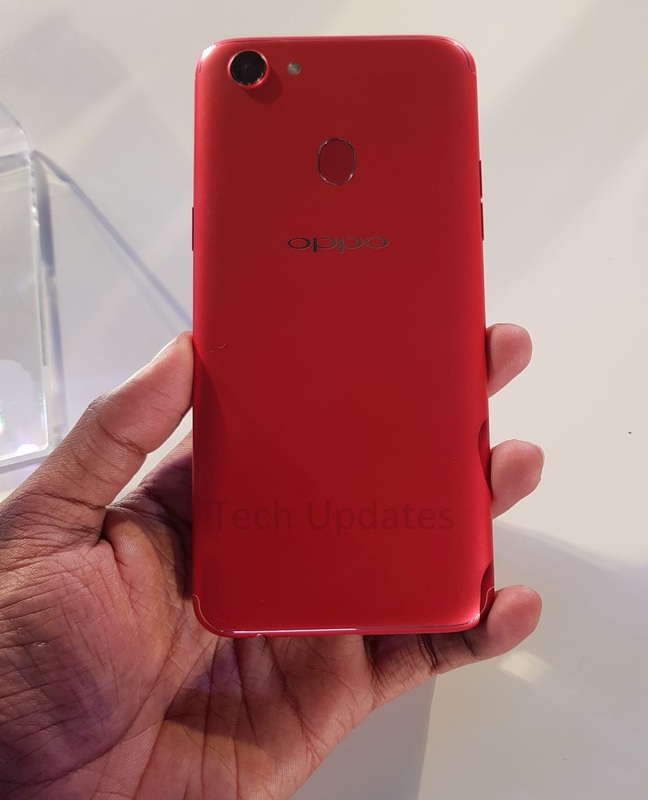 Oppo F5 body looks like made up of metal in photos but it is made up of plastic. At this price, Oppo should have included a Metal body. Oppo F5 is Packed with a 3200mAh built-in battery. There is no support for a quick charge but phone charges from 0-100% more than 2 hours. Oppo F5 comes with a Micro USB port. Oppo F5 4GB RAM is priced at Rs 19,990 and Rs 24,990 for 6GB RAM, Looking at Processor, Plastic body price should have been around Rs 15000-17000.